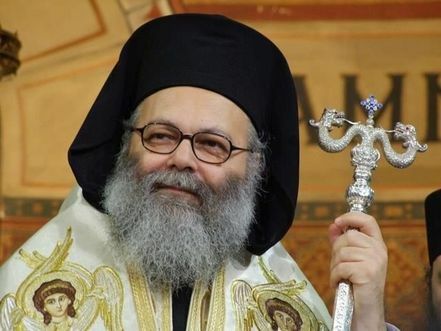 Youhanna al-Yaziji was elected on Monday the new Greek Orthodox Patriarch of the Levant and Antioch. He will succeed late Patriarch Ignatius IV Hazim, who passed away on December 5. He will be known as Patriarch Youhanna X. The election was made after a meeting of 20 archbishops at Our Lady of Balamand Monastery on Monday morning. “We have a lot of work ahead concerning youth affairs and universities,” the new patriarch said in a speech at the monastery later on Monday. “We share the same fate with our Muslim brothers and we will work together,” he vowed. “Our confidence in our people is very deep and our path is the path of the cross,” Yaziji added. “Our country suffered a lot of difficult periods, but we will stay” in Syria, he added. “Throughout history, we have always been with all parties and all groups in Syria,” Yaziji noted. Born in Latakia, Syria in 1955, Yaziji earned his school and university education in Syria. He earned a degree in theology in 1978 from the St. John of Damascus Faculty of Theology at the Balamand University and a doctorate in theology in 1983 from the Aristotle University of Thessaloniki in Greece. He was appointed a deacon in 1979 and a priest in 1983 and in 1981 he took up teaching liturgy at St. John of Damascus Faculty of Theology at the Balamand University. He assumed the position of dean of the faculty from 1988-1991 and 2001-2005. He became the head of the Our Lady of Balamand Monastery from 2001 to 2005. In 2008 he was elected as the Metropolitan of western and central Europe.